The Prodigy Creepy New Trailer and Poster: What's Possessing Miles? 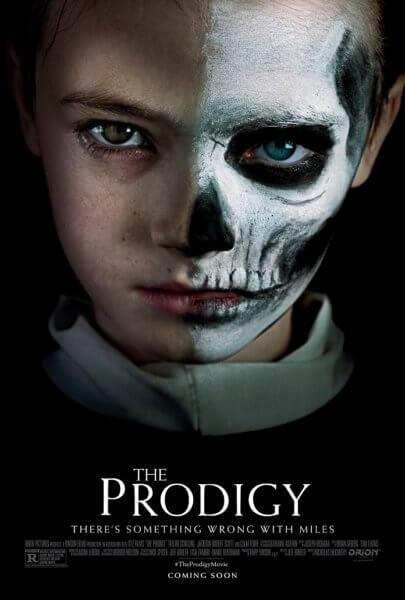 You are at:Home»Movies»Film Photos and Posters»‘The Prodigy’ Creepy New Trailer and Poster: What’s Possessing Miles? ‘The Prodigy’ Creepy New Trailer and Poster: What’s Possessing Miles? Orion Pictures has released the official full trailer for The Prodigy, a creepy possessed kid horror thriller directed by Nicholas McCarthy (The Pact, At Devil’s Door). The two minute trailer begins with a young Miles being hypnotized and ends with whatever’s inside of Miles making its presence known to Miles’ terrified mom. The cast is led by Emmy nominee Taylor Schilling (Orange is the New Black) and It‘s Jackson Robert Scott. The cast also includes Peter Mooney (Burden of Truth, Rookie Blue) and Colm Feore (The Umbrella Academy, House of Cards). Jeff Buhler (The Midnight Meat Train) wrote the script and The Exorcism of Emily Rose‘s Tripp Vinson produced the 2019 horror film. Buhler also wrote the 2019 adaptation of Stephen King’s Pet Sematary starring Jason Clarke, Amy Seimetz, and John Lithgow and directed by Kevin Kölsch and Dennis Widmyer. Orion Pictures is set to release The Prodigy in theaters nationwide on February 8, 2019.